Aldéa Lamirande currently resides in the City of Greater Sudbury, ON. Aldéa graduated from St. Albert’s Adult Learning Centre in Sudbury, ON in 2005. She then graduated in 2008 from the Addictions and Community Service Worker program at Everest College. Aldéa worked in the social services field for a number of years. After not securing employment in the field for quite some time she decided it was time for a career change and looked into the Second Careers program at Gezhtoojig Employment and Training. She applied for the Medical Office Administrator program at Everest College and started the program in the fall of 2014. While enrolled and almost at completion, the school closed. She faced the reality that her hard work was in jeopardy and thankfully she was able to complete her program with CTS Canadian Career College. Her commitment and perseverance to completing her goal came with graduating in April 2016. 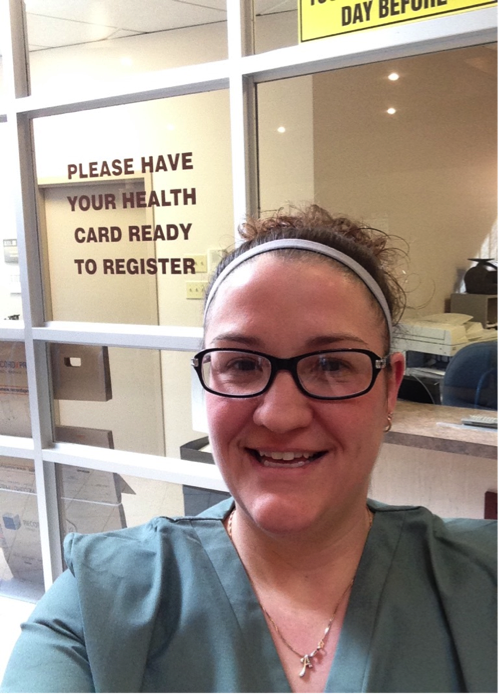 Aldéa is now a Laboratory Secretary with Sudbury Vascular Clinic in Sudbury, ON and Gezhtoojig Employment and Training has assisted with a wage subsidy for employment support. With many of her administrative duties, she especially enjoys interacting with patients. She recommends to those thinking about getting into this field to be well organized and mentally prepared and open to new learning opportunities. Aldéa states “in difficult times which you may face along your career path, to never give up and push through to accomplish your goals. Your hard work will show and pay off in the end.” Also, having a good resume and cover letter along with good networking abilities in order to find the hidden job market for potential employment opportunities is what worked for her.